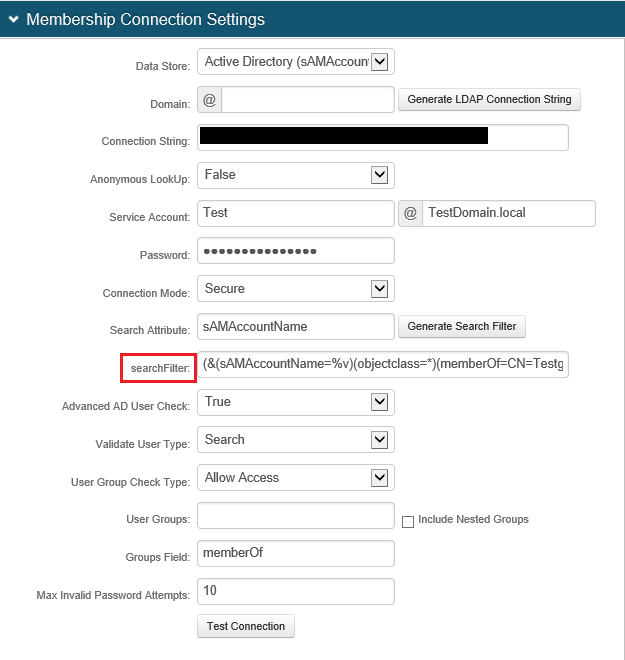 This article shows how to restrict LDAP searches by group. This is helpful for customers who would like to restrict their helpdesk staff to only search within a specific group in a helpdesk realm. 1. On the SecureAuth Server, open up the Admin Console. 2. Go to the Data tab for the realm, and go to the "searchFilter" textbox. This example shows a search for the sAMAccountName within the Testgroup1 group on the TestDomain.local DC. You will need to provide the full Distinguished Name for this to work. 4. Remember to click "Save"!